T. Robert Fowler, Combat Mission Kandahar: The Canadian Experience in Afghanistan. Toronto: Dundurn, 2016. Pp. 271. Few professional historians immediately following the First World War paid very much attention to the experiences of the common soldier. That, in their august and learned opinion, was not real history. The hard-drinking, chain-smoking, foul-mouthed and slightly-concussed Tommy (or poiliu or frontsoldat) was just a little too pedestrian for their taste. The historiographical tradition at the time, which persisted for some decades, emphasised “great men” who performed “great deeds.” Military history with either a sociological or anthropological inclination was still in the offing. Although primary documentation was certainly available—soldiers’ memoirs and collections of letters had been published both during the war and for some time thereafter—the “man in the trenches” was essentially ignored in preference to his generals and politicians, their campaigns and battles. Interestingly, jumping ahead one century, the exact opposite situation now seems to prevail in Canada as concerns the country’s recent involvement in Afghanistan. Because the conflict is a little too raw, fresh and recent, there exists relatively few examinations of generalship and operations, whereas the individual soldier, of both sexes it might be added, has been the focus of professional and amateur attention. With Robert Fowler’s most recent book, another volume of “soldier experiences” has been added to the growing Canadian literature on Afghanistan. At this stage, we perhaps know more about the soldiers themselves than the generals who commanded them or the many operations, both large and small, in which they were involved, although to be fair there are a few works that prove this statement false. 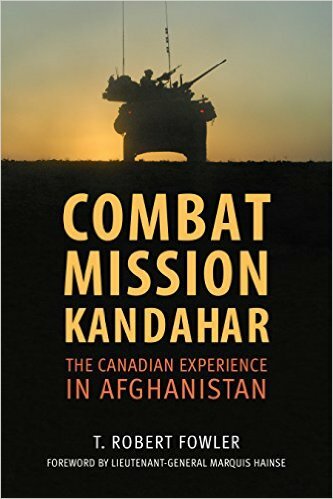 Combat Mission Kandahar offers a third-person telling of the stories, gleaned from personal interviews, of seven Canadian soldiers who served in Afghanistan during the combat phase of the mission, that is, from 2006 to 2011. Fowler is to be complimented on his choice of subjects. The breadth of Canadian military experience in Afghanistan is sometimes lost in accounts that are mostly combat arms-centric; Canadian soldiers did more than just root out insurgents, to be sure. Rather than focus exclusively on, say, the infantry, as some earlier works have done, the author has included individuals who, for instance, participated in psychological operations, rendered improvised explosive devices (IEDs) safe and oversaw local reconstruction projects. Indeed, the soldiers profiled in the book were selected for no other reason than the diversity of their overseas experiences. Taken together, other works and his, a more complete picture is now emerging of the scope of activity undertaken by Canadian military personnel in South-West Asia. The seven individuals whom Fowler has profiled ranged in rank from corporal to captain and all are male; judging by their names only, he seems to have included both English and French Canadians. The book begins with two contextual chapters. The first lays out the salient history of Canadian military participation in Afghanistan from 2001. In it, Fowler moves quickly but effectively over the first couple of years; he understandably places his emphasis on the combat mission itself. Mention is made of most of the major events of this ten-year period, including JTF-2’s early entry into Afghanistan, Operation MEDUSA and its aftermath, the Manley Report, and even Route Hyena (of Paul Gross connection). Although this chapter ensures that the individual stories that follow are situated in their proper time and place, he unfortunately does not continue the description of Canadian involvement to its natural conclusion. The brief, narrative history that he provides here ends abruptly with the end of the combat mission in 2011, and while this is logical enough for his purposes, it ignores the fact that Canadian soldiers remained in Afghanistan until 2014 in a training capacity. The combat mission may have ended, but the military’s mission did not. In this sense, the chapter is somewhat incomplete and leaves an erroneous impression that Canada withdrew from Afghanistan once its soldiers stopped fighting. A few more words along these lines would have closed the loop and made his discussion more robust. In the second, he discusses the theory and practice of counter-insurgency (COIN), drawing widely from history and various authors. From the outset, the challenges of fighting a war against insurgents that could so easily blend with the resident population, as opposed to a conventional and clearly identifiable enemy, are made clear. One cannot help but respect the difficulty inherent in fighting an enemy that with simple, and in some cases homemade, weapons could defeat mechanised and technology-heavy forces. 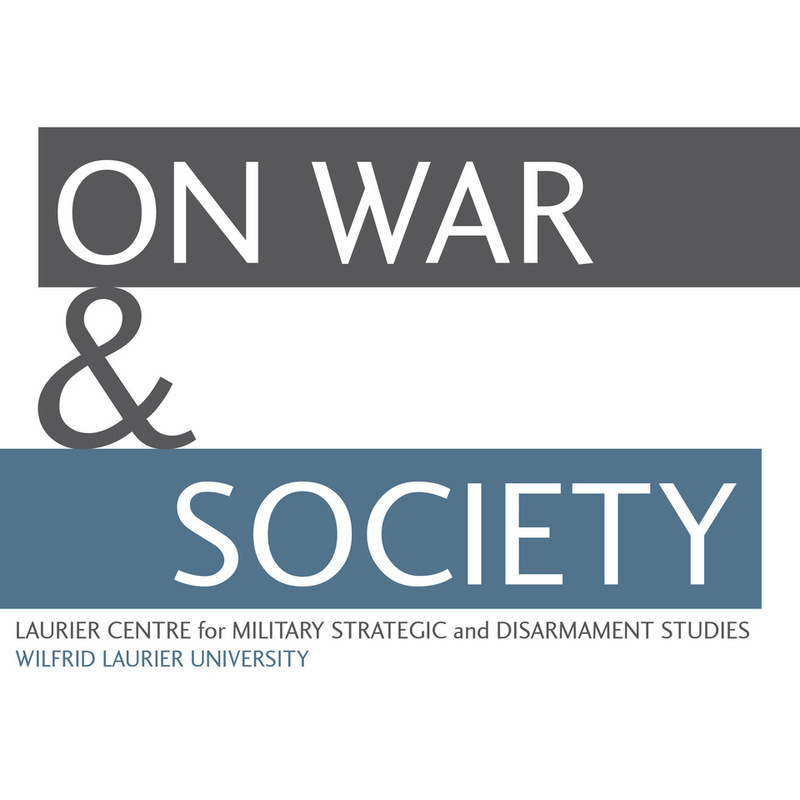 Discussions of Taliban strategy and tactics, as well as Canadian equipment used in Afghanistan, complete the chapter. What is perhaps missing from this discussion is mention of Canada’s “whole of government” or “comprehensive” approach to the conflict. While the military provided security by reducing the threat posed by insurgents, state-building activities—holding elections, large-scale development, improving policing and prisons, microfinancing, capacity-building within the Afghan government, and so forth—were undertaken largely, but not exclusively, by other government departments and agencies. Such activities, it could be argued, contributed to the counter-insurgency campaign, as well. Being the largest and most expensive piece of Canada’s engagement in Afghanistan, the military’s contribution has often overshadowed that of others, but it must not be forgotten that this was a battle waged on many fronts, not just in dusty fields and villages. Without even a brief mention of the other key Canadian participants, one is again left with an erroneous impression, that the military undertook all of the activities intended to rebuild Afghanistan from both the top-down and bottom-up. The remainder of the book focusses on the impressive and humbling experiences of the chosen seven; some chapters describe the actions of individuals for which they ultimately received either the Star or Medal of Military Valour, certainly no mean feat. Whatever the minor shortcomings of the contextual chapters, the remainder is exceptionally engaging as Fowler is a consummate writer. There are many spots where the pages turn all too quickly and easily. Each chapter begins with some relevant historical background that provides individual context. In the chapter about Master Warrant Officer Richard Stacey who served as the sergeant-major of C Squadron, Lord Strathcona’s Horse, for instance, a short discussion of the history of Canadian tanks in Afghanistan is provided. Likewise, a brief account of the psychological operations capability within the Canadian Armed Forces is offered as preamble in the chapter about Corporal François Dupéré who conducted influence activities during his rotation. (For the sake of interest, the other soldiers profiled in the book include Captains Jonathan Mineault and Robert Peel, Lieutenant Simon Mailloux, Master Corporal Sean Chard and “Sam,” a pseudonym for a soldier who disposed of IEDs.) Rather than tell each soldier’s entire story in chronological order from the time that he was deployed to the time that he was repatriated, Fowler describes a few key events from his service overseas and, much to his credit, illuminates how the soldier’s individual experiences fit into the larger strategy, COIN or otherwise, then being pursued. The second contextual chapter is, therefore, far from superfluous. The book is a form of oral history, in this case taking the first-person narratives of individuals and crafting a third-person account from them (as opposed to, for instance, presenting the narratives with only minor editing). Since Fowler’s work is intended for a non-specialist audience, it is too much to expect a protracted discussion of the methodology employed in its creation, but a few words along these lines would have been helpful. Without informing the reader as to how interviewees were initially approached and selected (aside from the diversity of their experiences), whether or not they had the chance to vet and alter drafts of their respective chapters, under what circumstances the interviews were conducted, and so on, such important questions can only remain unanswered. A deftly-crafted paragraph or two could have briefly addressed these and similar methodological issues without detracting from the generality or appeal of the work, while at the same time satisfying the curiosity of those scholars interested in oral history as a research technique. Fowler’s experience in collecting first-person accounts could surely have taught something to others. Aside from the research being uneven in places and the occasional factual error, the near total lack of quotations from the men themselves is exceptionally troubling. Each chapter is about a particular soldier, yet the soldier’s voice is rarely, if ever, heard. These men do not, in other words, have the chance to speak for themselves as Fowler does all of the storytelling; all of it. Each of these individuals must surely have provided some excellent descriptions, turns of phrase or exquisite vulgarity in their respective interviews that could have been included to add variety and colour to their chapter. Soldiers speak with a distinct lexicon and occasionally syntax, but one would never know it from this book. The absence of first-person narrative (the major exception being a quotation that extends over two pages, pp. 132-33) limits the usefulness of the work as a primary source. The public will find the book interesting and engaging, for it definitely is, but academic historians in search of participants’ voices will be bitterly disappointed. In Combat Mission Kandahar, Robert Fowler has preserved the stories of another handful of soldiers that, had they not been presented here, might otherwise be lost to history. That in itself is a commendable and worthy pursuit. Although some 40,000 individuals served in Afghanistan between 2001 and 2014, we now know a bit more about the service of a further seven. Now indeed is the time to capture such experiences, when memories are raw, fresh and recent, not years later when they have degraded or unconsciously changed. By presenting seven very different vignettes, he clearly shows the intellectual and physical difficulties inherent in fighting in Afghanistan, as well as the commitment, dedication and endurance of Canadian soldiers; their perseverance in the face of considerable adversity shines through as well. In its own particular way, Combat Mission Kandahar is a good general introduction to the conflict and its participants, both friend and foe alike. Jay Winter and Antoine Prost, The Great War in History: Debates and Controversies, 1914 to the Present (New York: Cambridge University Press, 2007), Chapter 4, 82-108. For the extant Canadian canon, see Brian Douglas Tennyson, The Canadian Experience of the Great War: A Guide to Memoirs (New York: Scarecrow Press, 2013). For example, Colonel Bernd Horn, No Lack of Courage: Operation Medusa, Afghanistan (Toronto: Dundurn, 2010); Lieutenant-Colonel Ian Hope, Dancing with the Dushman: Command Imperatives for the Counter-Insurgency Fight in Afghanistan (Kingston: Canadian Defence Academy Press 2008); and, Chris Wattie, Contact Charlie: The Canadian Army, the Taliban and the Battle that Saved Afghanistan (Toronto: Key Porter, 2008). 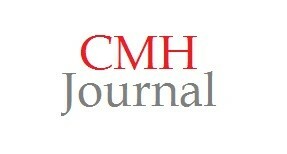 I would like to thank Craig Mantle for his thoughtful review of my book. In his review, he makes a number of constructive criticisms that reflect his previous experiences, particularly his work which resulted in the publication of “In Their Own Words” (Defense Academy Press, 2013). The main purpose of both books was to preserve the personal experiences of some of the soldiers who deployed to Afghanistan, although each of us took a somewhat different approach. But the end goal was the same. All of Craig’s comments are useful. I could even add others to his list since, in hindsight, I can see errors and omissions that are evident to me now. For example, all the soldiers interviewed are male. I would have very much liked to have included a female soldier, particularly a medical technician. I did make some inquiries in this regard but did not pursue them hard enough. And yes, I could have mentioned the Canadian Whole of Government approach more concretely. I believe I probably could have done so by including a chapter about the PRTs, focusing on someone who carried out one of its functions. That is unquestionably a gap. He criticizes that I wrote the entire book in the 3rd person, lacking quotations. That’s a good point. Yes, including some direct quotes from each of those interviewed, in their language, would have given more realism and spark to the book and I now think I should have done so. The style I used came about from my strong interest in writing for the general public, but making such a change would not have detracted from this and would have enhanced the book. Finally, Craig’s suggest that I might have included something about the interview methodology is very intriguing because I did work hard on the difficult task of going from an interview to final written product that is interesting, informative and accurately representative of the soldier. That could be the subject of some future blog. There is one final omission regarding something that I would have very much liked to have included. That is, a chapter on the Afghan National Police, the POMLTs, and the many problems associated with trying to create an effective police force under the circumstances of Afghan society and politics. I think there is a huge story there, as it would contain some of the reasons why applying COIN was a problem. One chapter on a POMLT would have helped throw some light on this important aspect of our experience in Afghanistan.